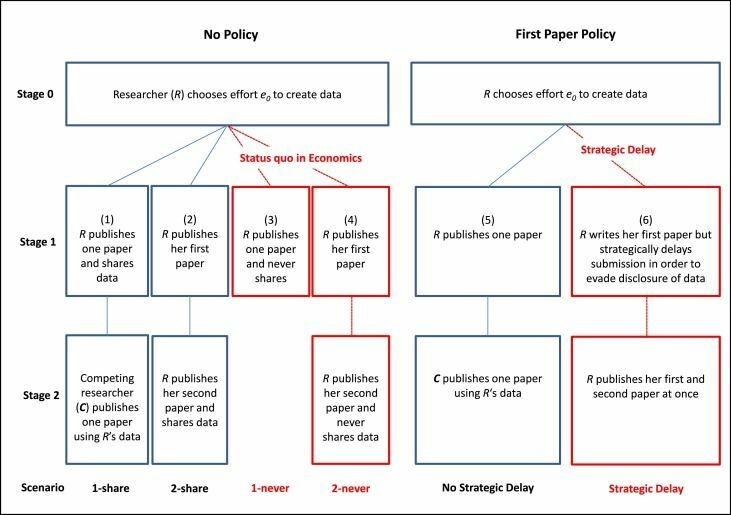 The paper is part of the analyses for EDaWaX’s work package 1, which -amongst others- dealed with incentives and disincentives for sharing data. For those without proper access to the journal: the working paper of the article is available on EconStor, but be aware that the working paper differs from the original research article in several aspects. Graphic: ‘Stages of the model‘ by Frank Mueller-Langer & Patrick Andreoli-Versbach. License: click!